We’re all familiar with search engine optimization. Over the last ten years, SEO has gone from a geeky niche to a mainstream staple for modern marketers, with 66% of marketers now saying that improving SEO and growing their organic presence is their top inbound marketing priority. But what many people don’t realize is that those same tactics can be applied to social media marketing. You can be more strategic about your hashtag choices, deliberately post updates when most of your followers are online and split test calls-to-action and social advertisements. Every social network has its own unique quirks, and while it’s important to make sure that you tailor your content to the platform – great visuals for Instagram, lifestyle and entertainment posts on Facebook, etc. – it’s also important to be certain that you’re optimizing that content to make sure that people are looking at it in the first place. Whether you’re an international corporation or a small local business, social networking sites offer you plenty of chances to optimize your presence to further boost your reach and social following. Better still, most techniques take time instead of money, although they’re arguably the same thing. Many techniques can be applied to multiple networks. For example, visual content usually works best, and infographics are “liked” and shared on social media sites 3x more than any other type of content. And whatever platform you’re on, it’s a good idea to include calls-to-action within your social media posts so that your followers know what to do next. As a general rule, it’s a good idea to fill out as much information as possible on each of the social networks that you use. Likewise, you’ll want to take advantage of custom imagery, but you’ll also want to make sure that your ‘about’ information, your profile picture and your cover photos are consistent across different networks. That way, people will instantly recognize you no matter what site they’re on. Facebook is the world’s largest social networking site, with over 1.2 billion daily active users. And, with over 17,000 employees helping to shape it, it’s also a behemoth of a site with all sorts of functionality that marketers can take advantage of. In fact, Facebook is constantly testing new tools, like the launch of Facebook Marketplace in October 2016. This new functionality, which has been described as “a friendlier Craigslist”, is designed to bring buyers and sellers together in the local area, and it can be useful for small retail businesses and local tradesmen, as well as for members of the public. The site also has a powerful advertising tool which allows you to target potential customers based on their demographics and their interests. One of the main advantages of this tool is that it allows you to add a tracking pixel to your website which integrates with Google Analytics and helps you to see whether visitors from Facebook ads are converting into customers. You can also experiment with ‘dark posts’, which are basically unpublished posts that you’re running advertisements with. These posts won’t be pushed out publicly to your followers, which means that you can post dozens of variations without overloading people. That allows marketers to run split testing on their advertisements – and their posts in general – by changing one element at a time to maximise their performance. 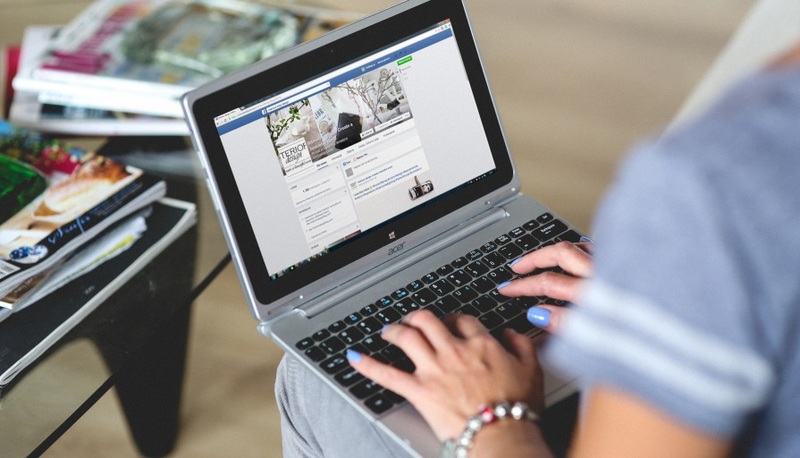 For the posts themselves, you’ll want to make sure that you’re using Facebook’s analytics data to influence your strategy. As well as showing who you’re reaching and how often, you can also look at the posts tab to determine when your fans are online. This allows you to identify the best time to post – on the days and times when your audience is most likely to be logged in. Visual updates tend to work well because Facebook posts with images see 2.3x more engagement than those without. Video works even better, averaging 62% more engagement than photos. Smart marketers have started adding subtitles to their videos, too – that way, people can read what’s happening as they scroll through their news feed. Without subtitles, it’s often difficult to tell what’s happening. Despite the fact that hashtags have been supported on the site since 2013, it’s a bad idea to use them. One study from Buzzsumo which analyzed a billion posts on the network, found that updates with hashtags received less engagement than those without. Ah, Twitter. In many ways, it’s the social network that’s never really grown up. Because of that, some of its most useful functionality is available through third-party apps rather than from Twitter itself, thanks to its API and an entire internet full of would-be developers. Hashtags work well, of course, and tweets with images receive 18% more clickthroughs, 89% more likes and 150% more retweets. 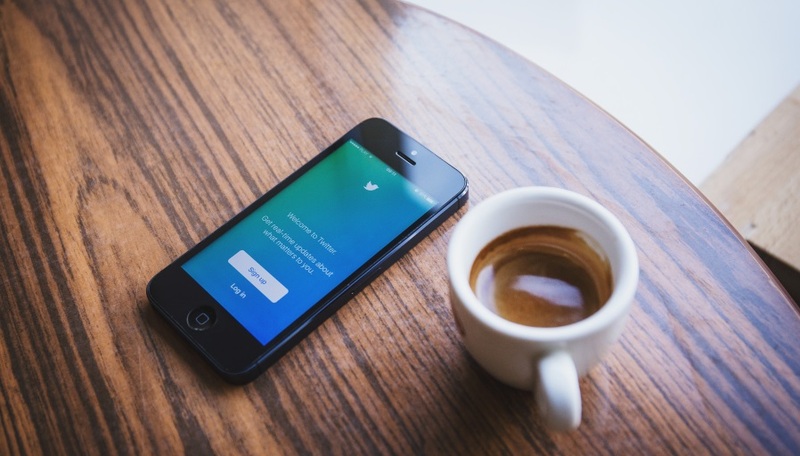 Many practitioners, including thought leader Guy Kawasaki, recommend posting the same tweet multiple times to capture followers in different time zones, noting that it reaches new people and leads to more traffic. Consider using a Twitter dashboard – such as TweetDeck or Hootsuite – to monitor messages and replies in real time. You can also set up searches for relevant terms – such as ‘need financial software’ or ‘New York restaurants’ – to find existing discussions and to jump into them, but be sure that you’re adding value and not just spamming people with promotional offers. You can also use tools like ManageFlitter to augment your presence by managing your following in a more direct way. For example, you can unfollow people who are no longer active and follow people who are mentioning you instead, or you can filter for fake accounts and remove them. There are third-party Twitter apps for almost everything, from creating word clouds to analyzing reach and identifying your most influential followers. Have a look around to find tools that suit what you’re trying to achieve, but always be careful and pay close attention to the permissions that you give to them. Not all developers have their users’ best interests at heart! LinkedIn is interesting because there are two different types of optimization. You can work on optimizing an individual’s profile or you can try to optimize a company page. Both have their uses for marketers – after all, networking with people on LinkedIn can be a significant driver of new business – but it’s hard to network with people if they don’t know that you exist. 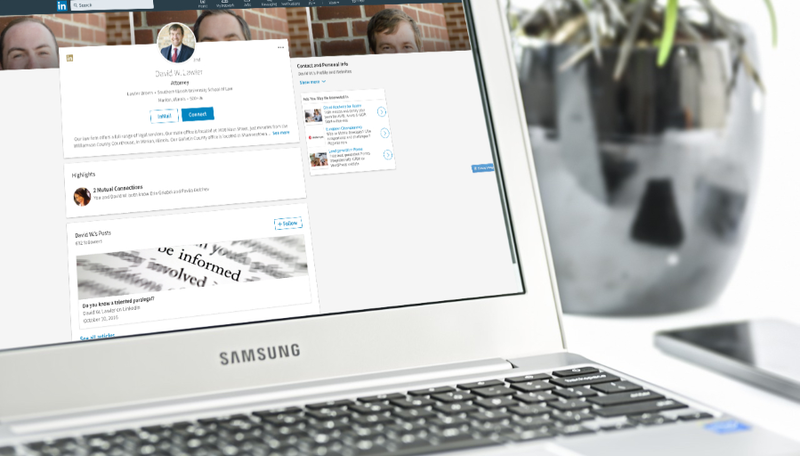 Individuals should ensure that they comply with LinkedIn’s own guidelines by achieving a 100% completeness rating. This provides a decent introduction to some of the different things that you can do to correctly fill out your profile, from giving and receiving recommendations to filling out employment history and adding volunteer work. On top of this, at a personal level, you’ll want to ensure that you have a high quality headshot, that you’re contributing articles to LinkedIn Pulse and that you’re participating in group discussions. You should also take advantage of the fact that you can embed slideshows and videos into your profile. If nothing else, be sure to upload your CV or your portfolio. At a company level, you’ll want to take advantage of opportunities like the ability to create ‘showcase’ pages for sub-brands or different initiatives. It’s also a good idea to invest a little cash in running job ads for new vacancies. While this is a paid feature, it’s a great way to bring in new talent, and it simultaneously helps you to increase your company’s following. Be sure to encourage all employees to connect their profile with the company page. This makes it much easier for your employees’ contacts to click through and follow the company page, and it’s one of the single most powerful ways of picking up new company followers. YouTube is often overlooked, with many marketers treating it more like a video repository than as a social network in its own right. And yet despite this, there’s overwhelming evidence to show that video can help to sell products, and YouTube is so huge that it’s also the second largest search engine in the world, behind Google (who owns it). Adwords just never really worked for us. When you’re paying $15 per click it can get nerve wracking. We had created an explainer video a year earlier for one of our landing pages but were hosting it on Vimeo. Didn’t do much. So we decided to repurpose it for Youtube ad purposes, and the results were amazing. We were seeing customer lifetime value to customer acquisition cost (CLTV:CAC) ratios of 10:1! 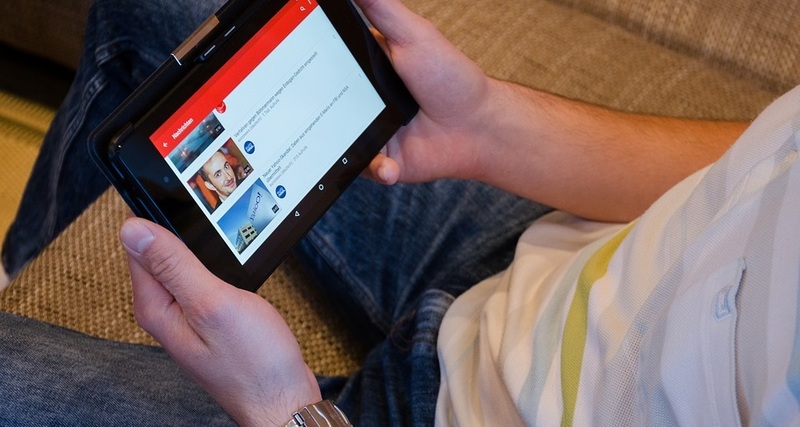 We’ve already talked about the factors that YouTube uses in its algorithm and covered the basics of YouTube SEO, but there are plenty of other ways for you to optimize your presence. For example, grouping similar videos into playlists can be effective because playlists can be discovered through search and, once a user starts to watch one, they’re queuing up multiple videos at once. Playlists can also be embedded off-site or on your YouTube channel’s homepage. In fact, your homepage offers up a prime piece of real estate for you to customize with branded imagery and clickable links. You can also create a trailer video, which can be embedded at the top of the page, and you can choose a different video to be shown to your subscribers. To save time on the network, and to ensure consistency whenever you post a new upload, you can set defaults which will be added automatically to any new video. Make sure that this includes a link back to your website above the fold, so that it’s immediately visible to viewers, and ensure that you still customize the titles and descriptions for each video. While you’re at it, it’s also a good idea to add custom thumbnails to your videos, as that can help them to stand out in search results pages. YouTube also allows you to add an overlay at the end of your videos to point somewhere else or to add a watermark to your videos for branding purposes. Optimizing your Instagram presence is more important than ever now that the algorithms have changed to show users the most popular posts instead of the most recent. Luckily, there’s plenty that can be done if you want to make the most of the site. 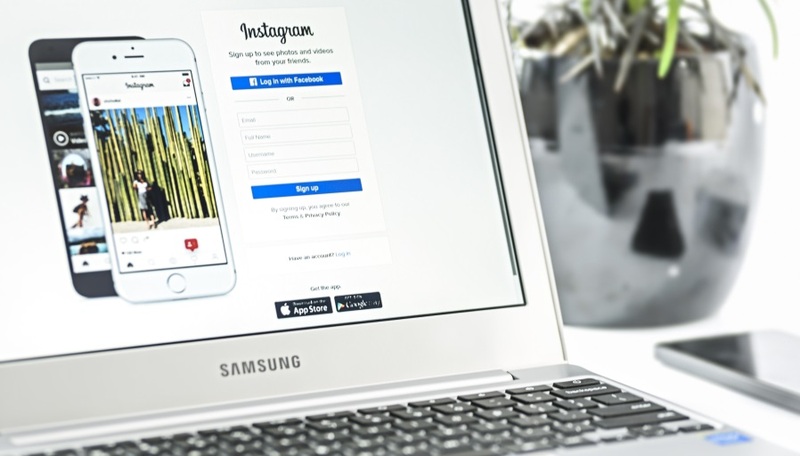 If you’re using Instagram to promote your business then you’re probably already aware that it doesn’t allow you to include an active link in your photos’ descriptions. Many users get around this by regularly updating the link in their bio and including “link in bio” as part of their caption, although it’s a tactic that should be used sparingly. Hashtags, on the other hand, should be used as often as possible. That’s because posts with at least one hashtag gain 12.6% more engagement, and interaction is highest on posts with 11+ hashtags. That’s good news for marketers, because it means that there’s no saturation point. You can use as many hashtags as you like! As a rule of thumb, shorter hashtags tend to be used more often than longer ones, so try to stick to simple hashtags like #travel, #shopping or #software. That said, you can also use tools like DisplayPurposes.com to key in one hashtag and to receive a whole heap of suggestions that are related to it. When it comes to your content, be sure to shoot for engagement above all else. It’s what the network is known for – in fact, engagement with brands on Instagram is 10 times higher than Facebook, 54 times higher than Pinterest, and 84 times higher than Twitter. One way to pick up engagement can be to use a tool like Repost, which allows you to ‘regram’ other users’ photos. This can be used as little or as often as you’d like and is effectively the Instagram equivalent of retweeting someone. You’ll often find that your regrammed photos are picking up more engagement than your own content. While Pinterest has fewer users than the other networks on the list, it can still add a lot of value, especially for retailers. In fact, Pinterest shoppers spend approximately twice as much as shoppers from Facebook and Twitter, and the site accounts for 25% of retail referral traffic. Studies suggest that the best time to pin is at 3pm ET on a Friday, and that pins with prices receive more likes than those without. It’s also important to remember that Pinterest is more popular with women than with men, and it’s popular with moms in particular. It’s also a lifestyle-first site, and so you’ll need to remember this when developing your strategy. But perhaps the most powerful aspect of Pinterest is the way that it allows users to upload pins and to specify the source URL. This means that marketers can upload photography and visual creative without having to put the images on their website, and it also allows them to specify where they want visitors to land if they click through. 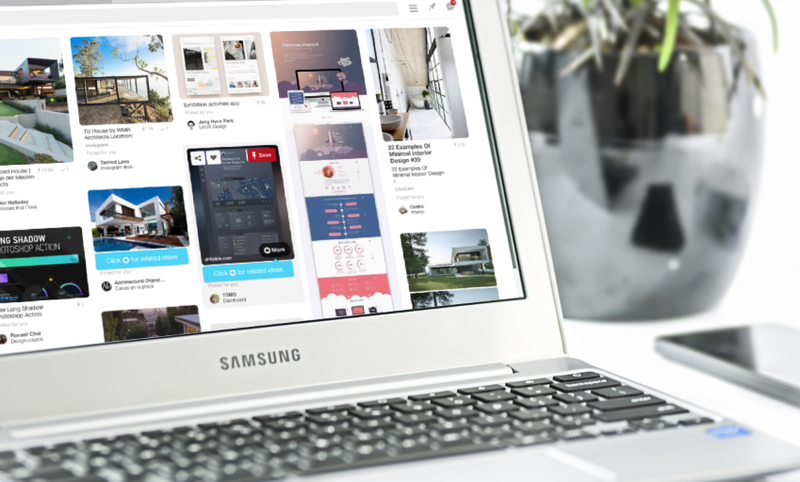 Pinterest also allows brands to create shared boards, which can be a great way to promote user generated content. It’s also possible to add location data to your pins or to plot them onto a map, which can be useful if you want to differentiate yourself. Mostly, though, you’ll want to focus on finding great imagery and optimizing titles, descriptions and source links. Social media optimization requires a certain mindset, and SEO specialists are perfectly suited for sitting beside social media marketers to create the perfect combination of optimization and quality content. 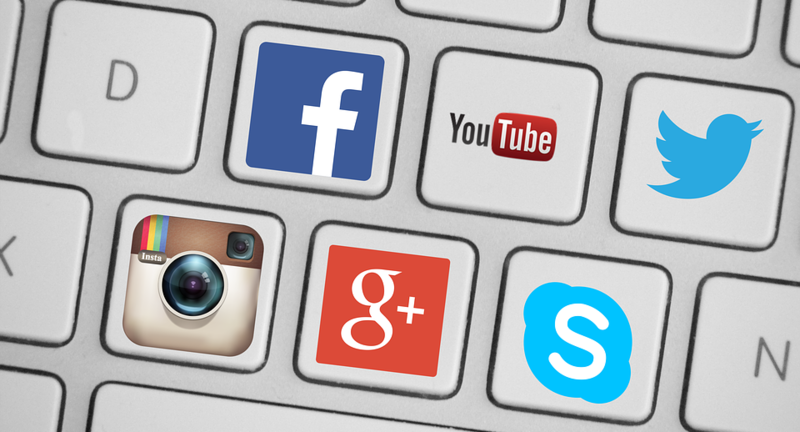 In this article, we’ve looked at some of the most popular social networking sites for B2B and B2C marketers, but many of the concepts can be used elsewhere. Whether you’re using Flickr, Facebook, Twitter or Tumblr, the key is to work within the constraints of the social network to create great content that users will like, share and subscribe to. But optimizing your social networking presence will only get you so far. Reach is good and engagement is great, but your followers aren’t worth much unless they go on to make a purchase or convert into a customer. That’s why social media optimization should sit alongside search engine optimization and content creation as part of an overall strategy that focuses on delivering the right message to the right people at the right time. Monitor the results, see what’s converting visitors into customers, and do more of that. Optimize everything, and not just search and social. Tracking Conversion Data: Are You Doing it Right? Find out in real time how Google’s algo updates affect rankings and visibility. No login required! I think it is the first time someone has put forward the idea of using SEO tactics on social media with such a force. The article highlights the importance of social networking sites in digital marketing and it also tells how various SEO tools can be leveraged to optimize social media. Social media is a large field not limited to Facebook and Twitter. Also, it goes beyond Instagram and Pinterest. I hope that the SEO tools suggested by the author are also useful for other networking sites in social media. The author did a great job listing the SEO tools for social media optimization. Thanks for sharing with us such a insightful post on social media hacks. Social media is very important part of everyones life now a days. Post good engaging content will defenitely give any business a tremendous boost.